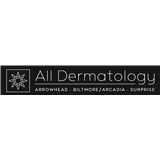 All Dermatology Inc. (Surprise) - Book Appointment Online! Allergy and Dermatology Specialists have been treating skin and allergy problems in The Valley of the Sun for over 30 years. We are proud to provide our patients with expert and experienced evaluations and treatments at our three valley locations in Phoenix, Glendale, and Surprise. Whether you have skin problems such as eczema, psoriasis, acne, or skin cancer or allergy problems, our board certified physicians are specially trained to meet your needs. Our specialty trained Mohs micrographic surgical team offers in-office, same-day treatment for cosmetically sensitive skin cancers of the face, ears and nose with expert reconstruction of the treated areas. Love Dr. P's energy and thoroughness.